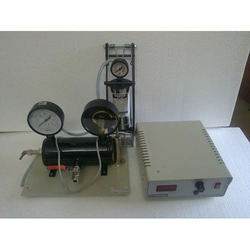 Our company is engaged in offering an exclusive array of Pressure Gauge Transducer. This high grade quality pressure transducer that is offered by us is strain gauge based, and is generally used for converting pressure into an analog electrical signal. We make use of the finest grade components, coupled with latest technology to fabricate these products. The entire range of products is available as per the application requirements of our clients. Looking for Pressure Gauge Transducer ?